You can hand write IFTA reports. You can hand write all of it. You have the receipt with logbook backing for proof there will be no worries if you ever get audited. Keep it simple and keep doing what your doing. 10-4....that sounds like a plan. Simplicity is definitely key to this . Thanks Chamberpains. Waterloo , I like those sheets....may be old school but it’s proven. Thank you for sharing. That’s the info I was looking for. It’s a shame when you question the very people who supposedly have the knowledge about a particular subject (like IFTA) only to find out they are more clueless than you are. Gulf states? Like this territory? If so I have a local company that I use. Pricing is at 2.659 for the past couple weeks. (03-25-2019 )Moose Wrote: Gulf states? Like this territory? If so I have a local company that I use. Pricing is at 2.659 for the past couple weeks. 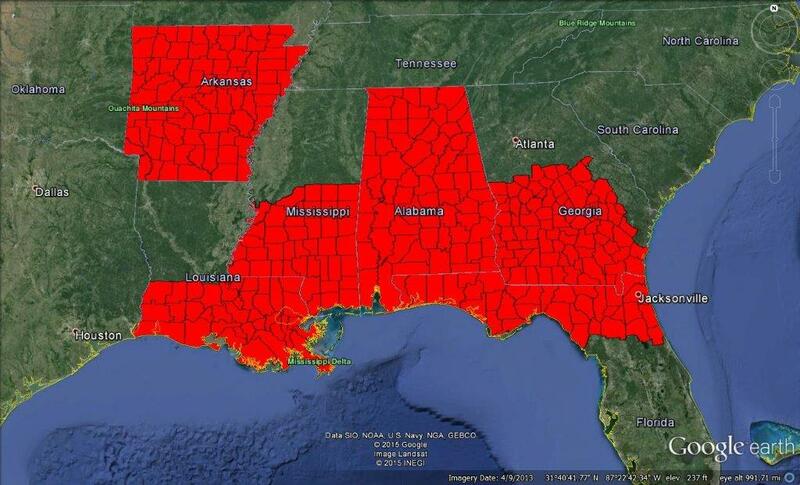 Actually, thats the exact area....I-10, Louisiana, Mississippi, Alabama....sometimes Florida. You do have to adhere to their station network to get the best pricing. Get them to email you the current list to see how many are within your lanes of travel. The one I have is over five years old. I PM'ed you my number if you have any questions.